Student Ambassadors help Indian0 to raise awareness of our programs and serve as our brand voice at their college campus. 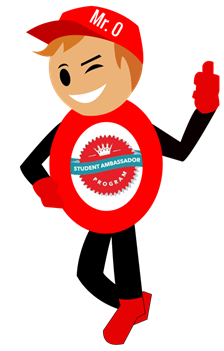 Spreading the voice among the students can be as easy as sending an introductory email, meeting with student groups on campus and sharing the relevant details on social media channels including whatsapp groups. You will get all the required materials and a custom URL to share with interested students or group to enable us to track your referrals or efforts. - Work with your comfortable timings – it’s all up to you! - At last one Student Ambassador will get a chance to go on a motivational "Trip to GOA"
Shortlisted Candidates Will get a call for Telephonic Interview. 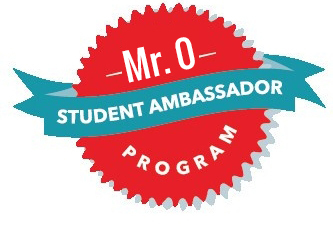 Become Student Ambassador & Wear a Cap of Mr. 0. 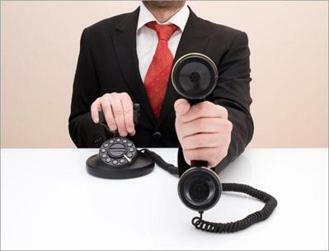 Your application will be reviewed by our program manager who will guide you through further process. It will be of 3 months program.